Please be aware there are spoilers, so if you haven’t seen Captain America: Civil War, turn back now! One of the most wonderful parts of Marvel’s universe is the vast and varied menagerie of superpowered players that populate it. From scrappy earth-bound heroes like Spider-Man and Jessica Jones to god-like alien races a la the Asgardians and Inhumans, Marvel’s characters run the gamut of personality, appearance, skills, and tone. And yet, even in such a densely, diversely populated world, Black Panther is one of a kind. 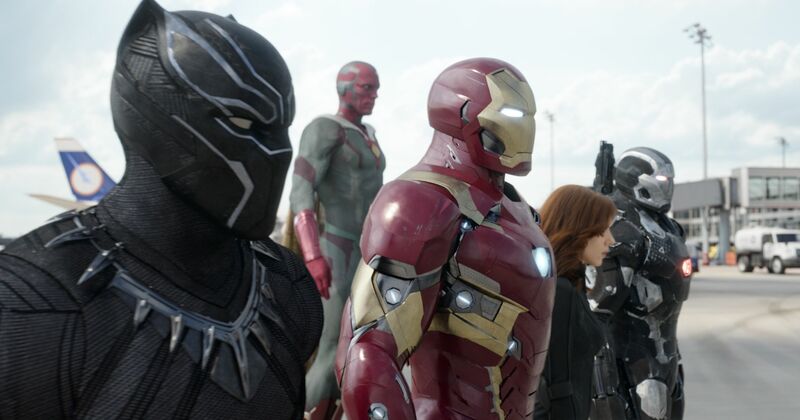 With Captain America: Civil War, the revered comic book character has finally made his cinematic debut. 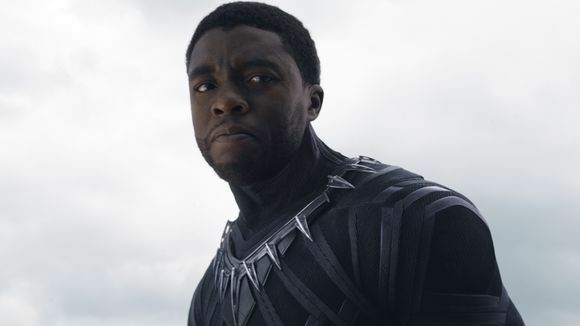 In a film that it utterly packed with a stellar cast and a wealth of engaging stories, it’s Chadwick Boseman‘s debut as T’Challa that emerges as the unexpected highlight. There is no one else like him in the MCU — earnest and self-serious without being humorless, T’Challa is a formidable and centered man who knows exactly who he is. You see it in the way he boldly unmasks himself without fear or hubris, and the way he dismisses Hawkeye’s attempts at mid-battle levity with a casual “I don’t care.” You won’t find any of Tony Stark’s smarminess or Steve Rogers’ whimsy, but an ever-present poise and steadiness befitting a regal world power. T’Challa isn’t just a fascinating character, he’s a culturally important one. The brainchild of Stan Lee and Jack Kirby, Black Panther debuted in 1966 in the pages of ‘Fantastic Four’, making him the first black superhero to appear in a mainstream comic. He was a hit. By 1972, he had his own title series and has since spent time as a member of the Avengers and the Illuminati — a secret council of Marvel’s most powerful superheroes that also includes Doctor Strange, Black Bolt, Charles Xavier, Namor, Reed Richards, and Tony Stark, and his inclusion in such company speaks to what a commanding figure he is within the Marvel universe. T’Challa is an expertly trained warrior who bears the title of Black Panther — an honored protector of Wakanda and champion of the Panther god — and his supreme physical prowess is matched by an exceptional intellect. Throw in the fortune he has at his disposal, and it’s easy to see why he’s sometimes referred to as Marvel’s Batman. But if being compared to Batman is a compliment, it actually undersells Black Panther. For one thing, he’s way richer. And unlike Bruce Wayne, he has superpowers, including enhanced agility, speed, strength, and endurance. Then there’s the fact that T’Challa isn’t just a hero and a public figure, he’s a goddamn king, and a king of one of the Marvel universe’s most powerful and advanced nations at that. He is an ultimate figure of dignified heroism; the genius and wealth of Tony Stark and the patriotic diplomacy of Cap rolled up into one extraordinary iconic character. Then you put Chadwick Boseman in the role and suddenly T’Challa comes alive; his grace and gravitas translated into action. Boseman became a young character actor to watch after his critically acclaimed turns as James Brown in Get on Up and Jackie Robinson in 42. 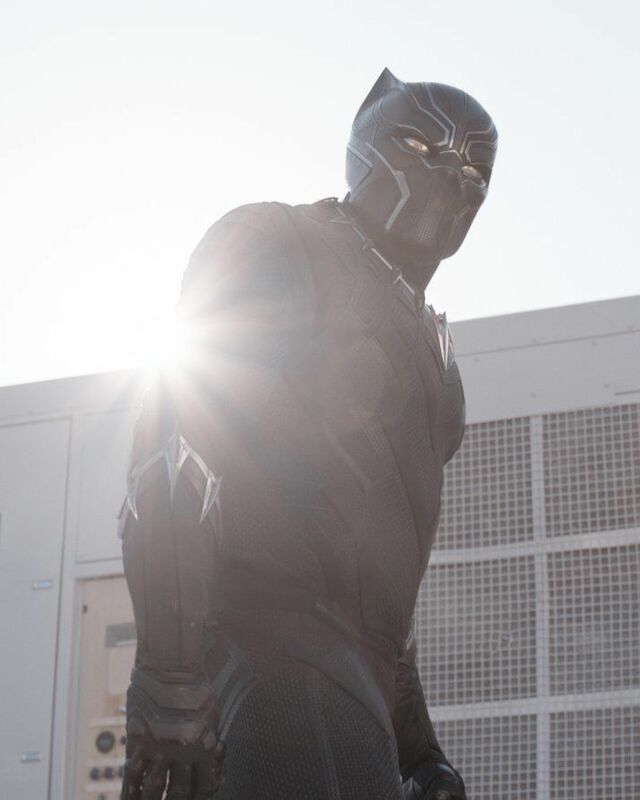 In Civil War, he treats T’Challa with the same respect he afforded venerated historical figures, building the character through a series of well-articulated details, from his accent to his agile movements. Boseman’s ground-up approach to the character pays off in spades, conveying a precision picture of the stalwart man T’Challa is, even in limited screen time. That respect for the character is mirrored in Black Panther’s narrative, which is arguably the most complete arc in the film. Screenwriters Christopher Markus and Stephen McFeely embedded his origin story in the film’s greater story. At the Civil War‘s opening T’Challa is a haughty young man who “disapproves of diplomacy”, but far from the brandished arrogance you might expect from a young king in the making, he treats his responsibilities with a grave seriousness born out of his desire to make his father, the benevolent Wakandan king T’Chaka, proud. When T’Chaka is killed in Zemo’s terrorist attack, T’Challa sets out on a mission of vengeance, becoming the wise hero fans know and love in the process. 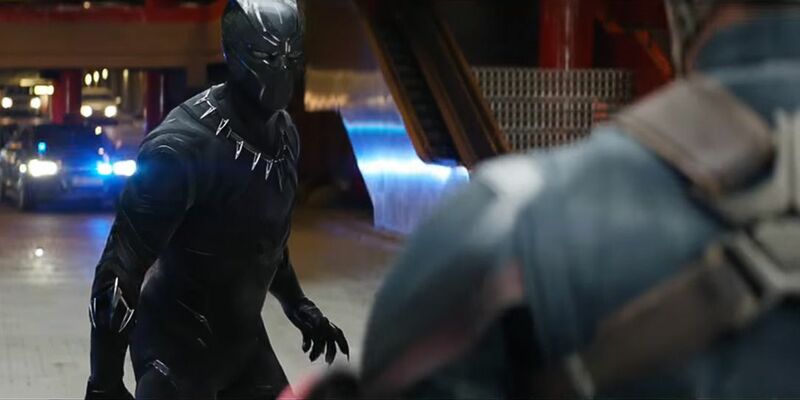 In essence, T’Challa already bears the mantle of Black Panther when we meet him, but he doesn’t really become Black Panther, the hero, until the film’s final minutes. Now, fully formed — a hero, a king, and a man wise enough to pursue justice over vengeance — he is primed to headline his own standalone film. The next chapter of T’Challa’s journey, which will arrive with the 2018-set Black Panther, is in the capable hands of American Crime Story scribe Joe Robert Cole and Creed helmer Ryan Coogler. As if the promise of a solo Black Panther movie wasn’t enough to get excited about, having Coogler in the director’s chair is an immeasurable asset. The young filmmaker made his directorial debut with 2013’s Fruitvale Station, the devastating recount of the tragic true-life police shooting, which earned him the Grand Jury Prize at Sundance and Best First Film at Cannes. Last year, he proved his blockbuster prowess with Creed, the rousing and contemplative Rocky semi-sequel that earned critical acclaim and box office bucks in equal measure. Which is to say he’s nothing less than the perfect candidate to take on a massive piece of spectacle and world building and ground it in the staid solemnity that has made Black Panther such an enduring and individual character. With Black Panther also comes Wakanda, the fascinating fictional North African nation that T’Challa rules as king. A hybrid culture blended between tribal traditions and staggering scientific advancement, Wakanda is home to the world’s vibranium — the same nearly indestructible metal that makes up Cap’s shield, Ultron’s armor, and of course, Black Panther’s suit. Just as T’Challa is a character unlike any other in the MCU, so is Wakanda an entirely unique and wondrous setting. Spurred on by their wealth of the valuable natural resource, Wakandans built a proud culture of extraordinary technology that is still deeply rooted in African culture, including their own religion of the Panther god. It’s a vision of a prosperous and modernized Africa, untouched by imperialism, and it’s about as far removed from the established worlds of the MCU that you can get.